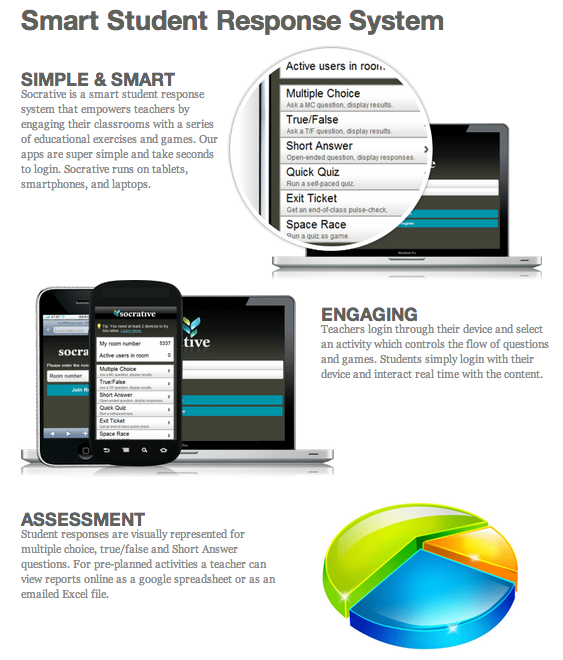 Socrative is a super simple but very powerful FREE tool that lets you quiz your students. Save a ton of time gathering student test data in multiple choice, true/false, short answer format. You can even run self-paced quizzes, exit tickets, and even a competitive game.. Watch the video below for a quick overview.. you'll be impressed!